It is no secret that I am obsessed with Halloween. I have been this way since a small child and it is my favorite time of year. Halloween kicks off the holiday season and is full of fun, scare, treats and surprises. 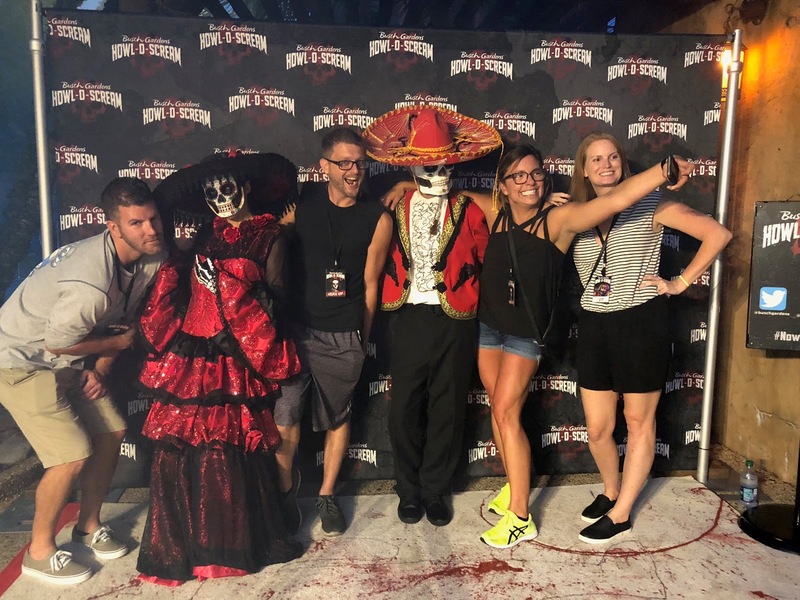 Residing in Tampa has it's perks....Busch Gardens hosts Howl-O-Scream every year, where on select nights in September and October they turn the park into a land of horror. When we moved to Tampa in 2010, we started attending Busch Gardens Howl-O-Scream. There has only been one year over the past eight where we missed attending (2014, wedding, honeymoon and crazy busy). 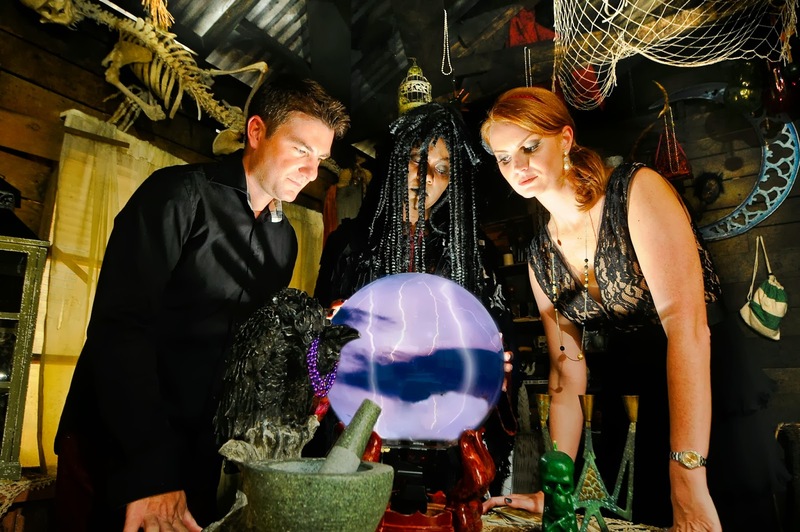 We even had an engagement shoot at one off the Haunted Houses, Death Water Bayou! 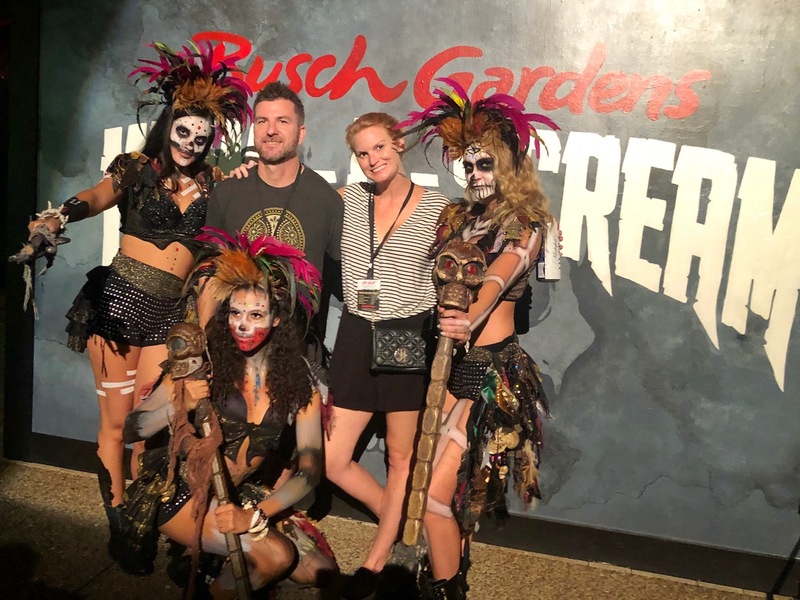 I was very excited when Busch Gardens invited me and Gabe back to check out this years Howl-O-Scream during their VIP party. I've been on the road non-stop over the past month and we had an off-weekend with no plans. Perfect timing! My equally Halloween obsessed friend Corey also went and we had a great time checking out the houses and riding rides. I can say with 100% certainty that this years Howl-O-Scream was our favorite. On the way home, Gabe and I chatted about how Busch Gardens raised the bar on expectations with their annual event. 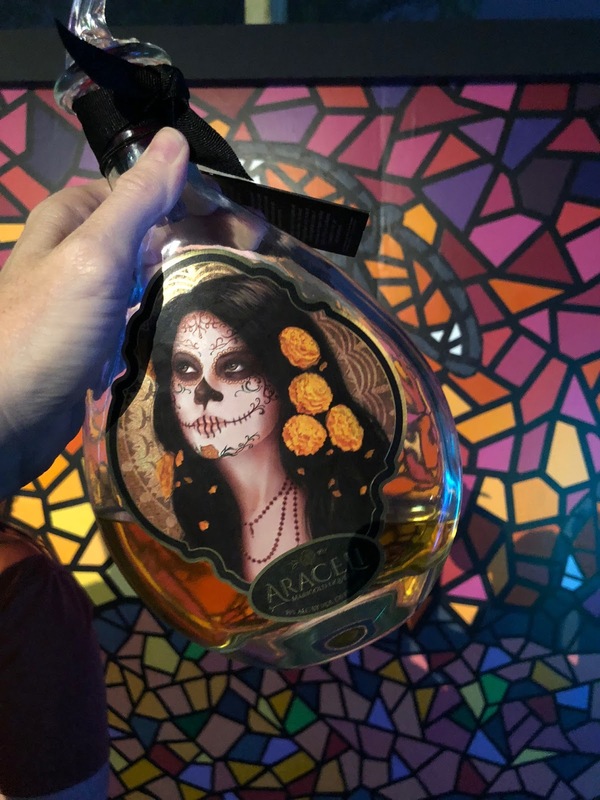 There were multiple scare zones this year including Meat Market, Maniac Midway, Camp DOA, Deadly Tots, Hell on Wheels and Dia de los Muertos. Busch Gardens did great with elevating the guest experience and all three were way more than someone jumping out with a chain saw to scare you. If you found yourself in odd numbers, your single rider guest was from another world as Monsters rode the rides with guests. This happened to Corey with a Clown. I would have said NO. She's braver than me. As much as I love Halloween, I HATE Clowns. There were quite a few of those in attendance. 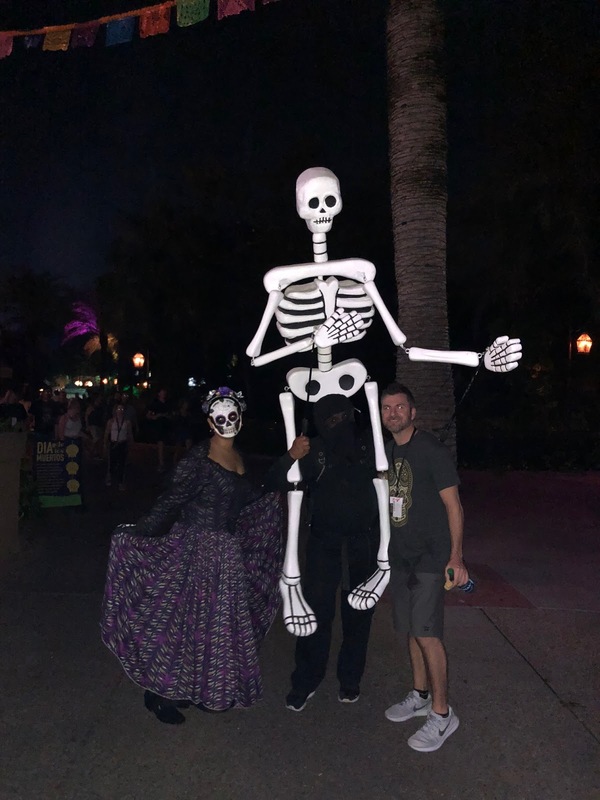 All around, we were super impressed with 2018 Busch Gardens Howl-O-Scream. Except the addition of clowns everywhere. We were able to check out nearly the entire park with the a Front Line Fear Pass. This pass allowed us to go to the front of every ride and haunted house. 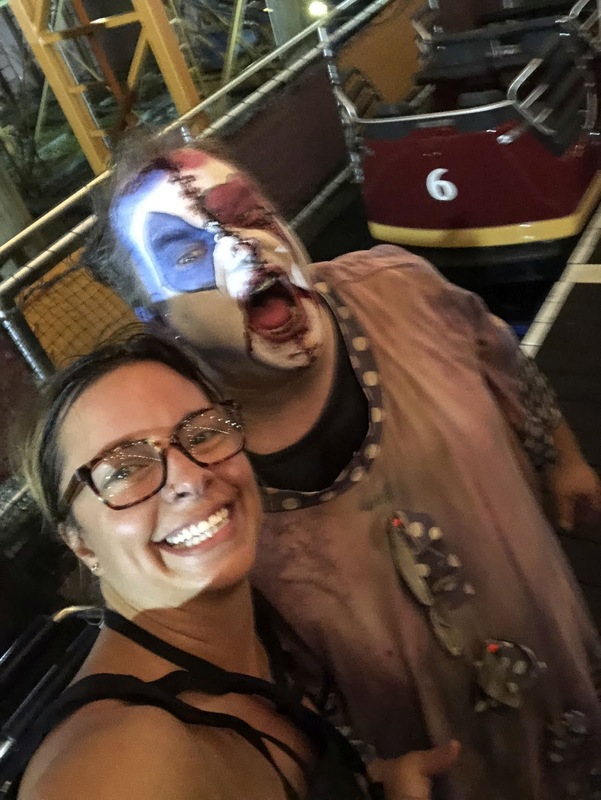 We never waited in line for anything we did, which allowed us to visit all 6 Haunted Houses, watch our favorite - the "naughty nurse" Fiends show and ride 4 roller coasters in less than 4 hours. 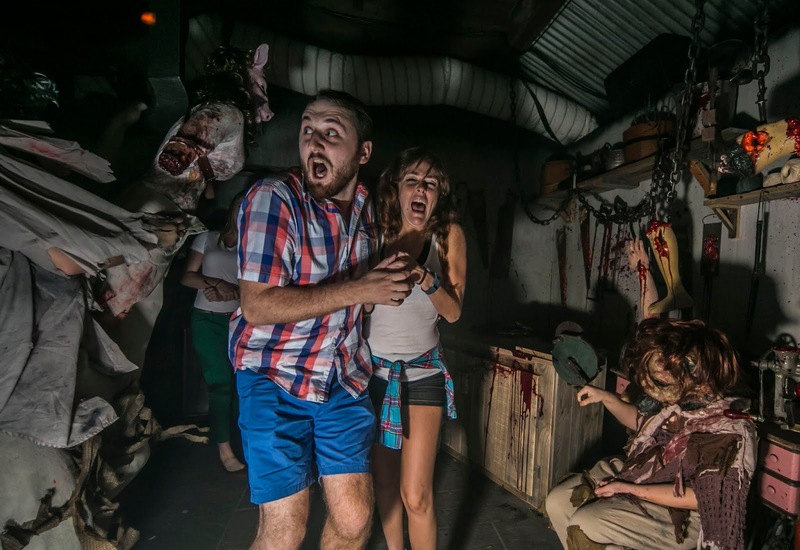 If you are going to Howl-O-Scream, trust me and purchase the add-on. They start at $35 and include 20% off at the gift shops. 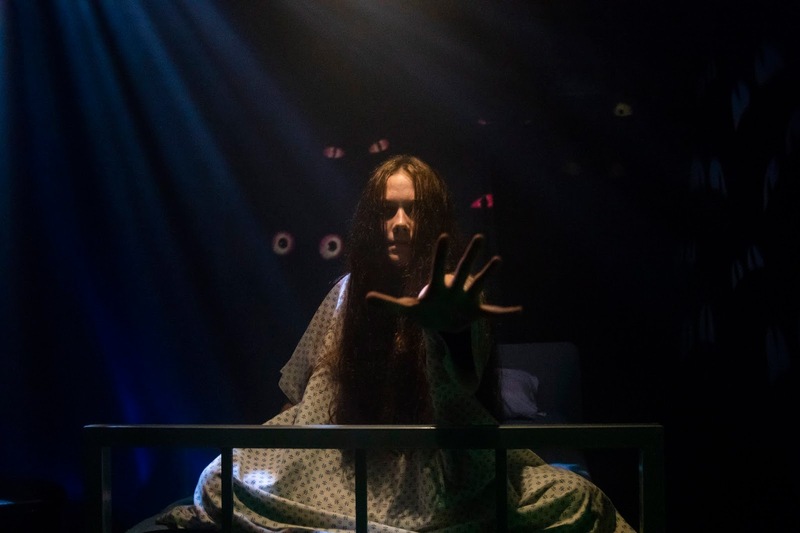 One of the new Howl-O-Scream haunted houses in 2018 was Insomnia. We found ourselves in a haunted asylum, where doctors keep their patients awake forever through twisted treatments. Each door was a new nightmare, and there was a scene with counting sheep that I will never forget. Another new house for 2018 was Simon's Slaughterhouse which takes place inside of a Meat Market full of cannibals. The house smells like meat and if there was any place that could turn me Vegan, it was here. This house is intended for 17+ and I am thankful to be writing this on a Monday night, where we have Meatless Monday's in our house. 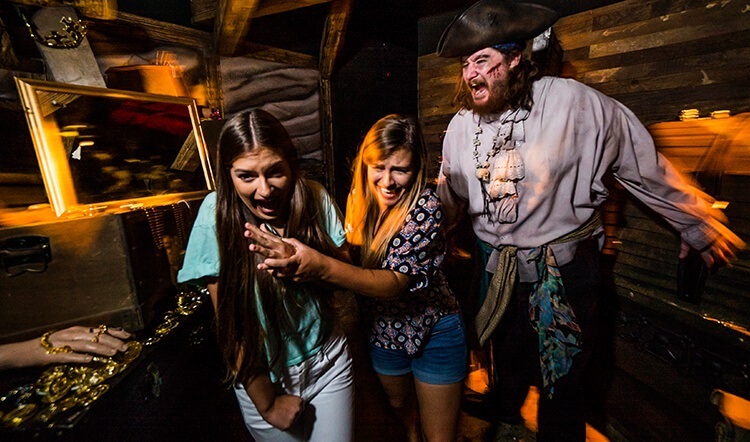 You can't be in Tampa without a Pirate themed Haunted House. It's only natural! When Saw Tooth Silas, an infamous pirate, decides that one should no longer exist, he marks them for death. Victims are then sent to The Black Spot, where they meet their horrifying end. This house will always be my favorite. When Death Water Bayou was announced in 2013, staged in a New Orleans Swamp - I knew we had to get Halloween themed engagement pics done there. We love everything about Halloween and were having a destination wedding in NOLA. I was so happy Busch Gardens allowed us to have our shoot there so this house will always mean a ton to me. I was thrilled to hear Death Water Bayou was making a return in 2018. 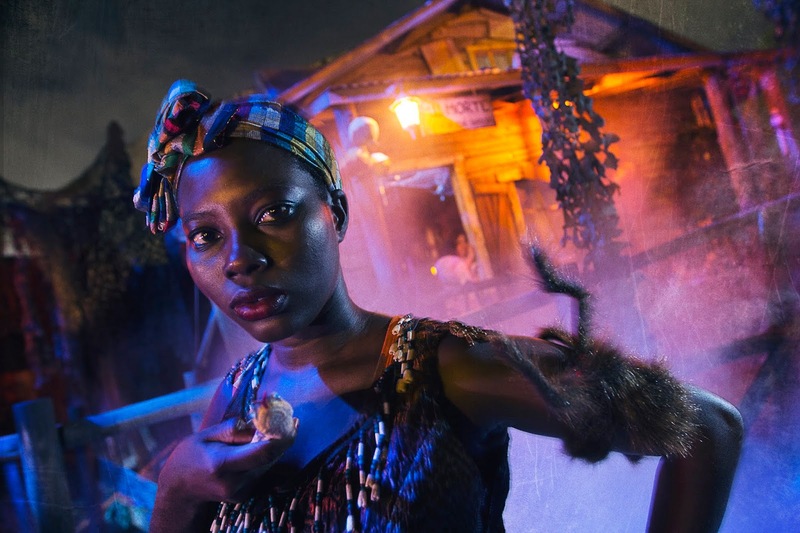 The house starts off by introducing you to the Voodoo Queen and throughout the house, many New Orleans staples turn into dark magic. Another crowd favorite returned this year - Unearthed. In "Unearthed" you go through an excavation in the park leads which leads to the discovery of an old house and a sinister force. The force does not want you to exit and you have to navigate your way through with a flashlight. Motel Hell was the last house we visited of the night. It's a haunted house based in a vacant hotel full of paranormal presence from its former owners. Every turn had a new horror. Howl-O-Scream 2018 will run from September 21st through October 28th. Click here for more information and follow hashtag #NoWhereToHide to live through other peoples experiences! 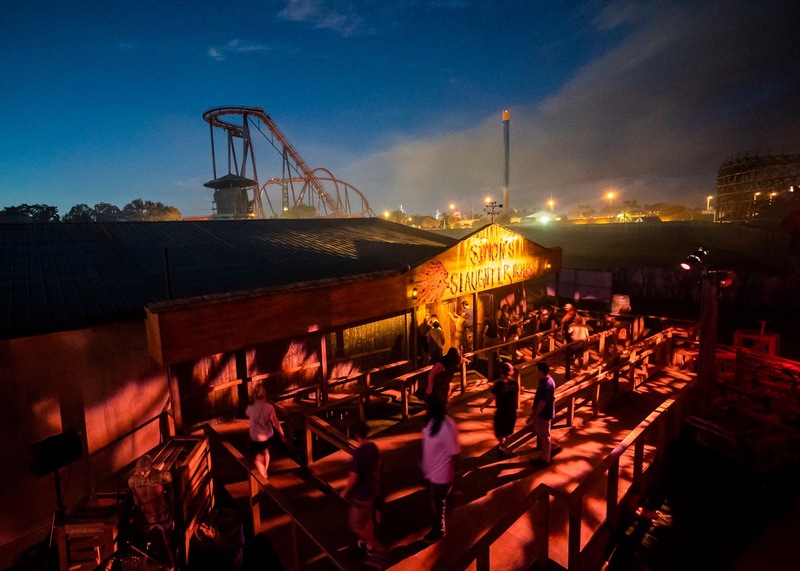 Busch Gardens Tampa provided me with two VIP tickets to experience Howl-O-Scream. I was not required to write a post and this review was at my own discretion. As always, all opinions are my own.